Bollywood star Hrithik Roshan is all set to play a mathematician in 'Super 30'. Mathematician Anand Kumar, who has full faith on the team working on the biopic based on his life, recently gave a shoutout to them. The maths wizard took to his social media and posted, "Time keeps moving. It never stops. It doesn't tire. It keeps changing from one extreme to another, difficult to joy, but maintains its march taking everything in its stride. It can never be made captive or controlled, as it has its own pace. It goes on and on, changing direction as it wills." "Just imagine, how eight years elapsed since famous script writer Sanjeev Dutta first drew the sketch of the script for the film on my life. This is how time flies, at times without giving any inkling of its pace. Just a year from now on November 23, 2018, the film will be released. I have full faith on my team. The way the entire team is engrossed in the project, working day in and day out, I am confident time will always remember this film," he added. Hrithik Roshan starrer 'Super 30' has become of one of the most highly awaited films of next year since the film has been announced. 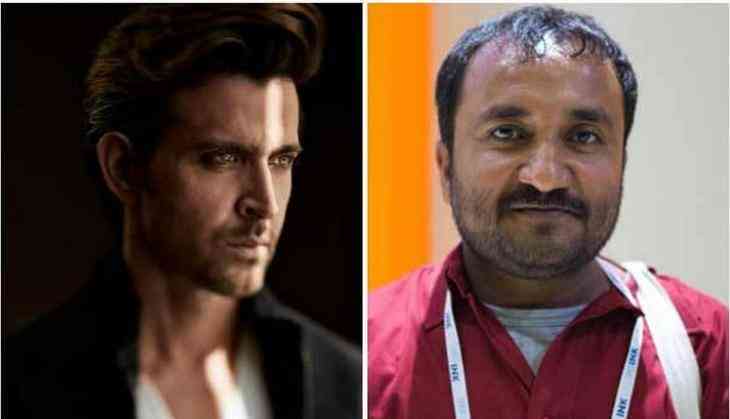 The film revolves around Anand Kumar and his famous Super 30 program that he started years back, the program trains 30 Indian Institute of Technology (IIT) aspirants to crack its entrance test. Produced by Reliance Entertainment and Phantom Films, 'Super 30' is helmed by Vikas Bahl and is scheduled to release on November 23, 2018.